Definitely a fun little diversionary project, the four remembrancers for the Thousand Sons are now complete! 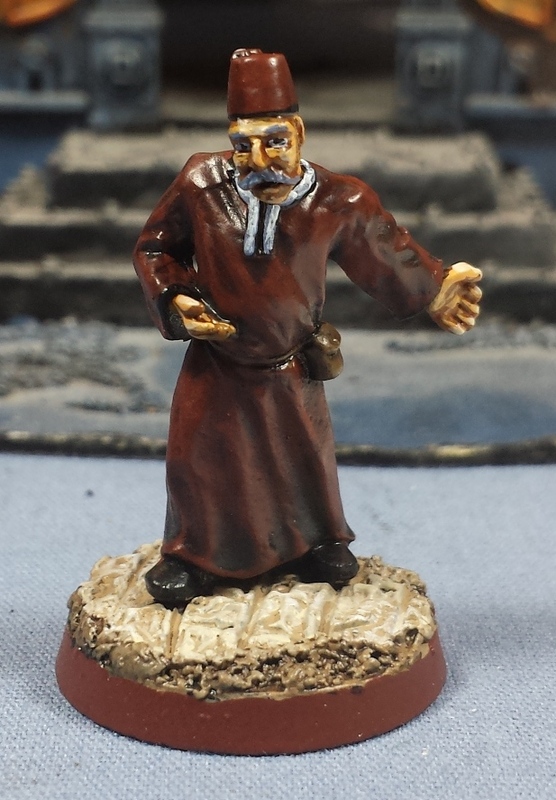 First up is probably the most drab of the four miniatures, Lemuel Gaumon. 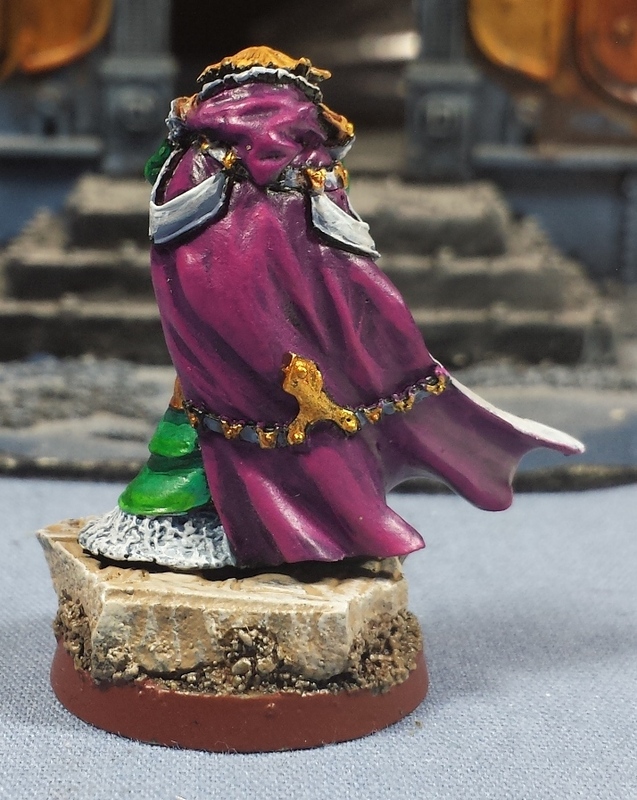 I wanted to keep his robes very muted, as though they were the lowest level of aspirant robes provided to him when he began his tutelage under Ahriman. The fez? ...Fezzes are cool. Next up is Kallista Eris (fnord) who ended up looking fairly tomb-raider-esque which I suppose is befitting her role in the book. 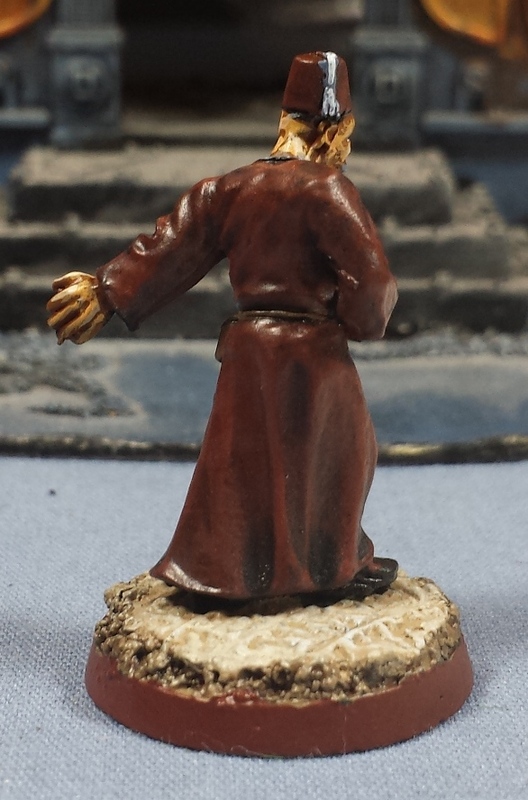 The greatcoat in Spireguard colors worked out pretty well as well! Camille Shivani's mini ended up being one of my favorites, if only because I got a chance to use some colors far removed from the recent palette! Finally an old sage model to represent Mahavastu Kallimakus. 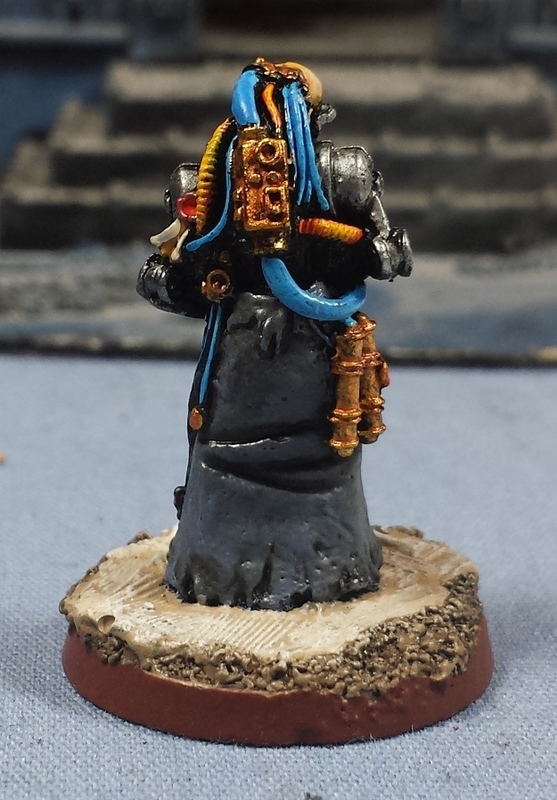 I wanted to keep him looking fairly monochrome and washed out (with the exception of the power cables for the scrivener harness) as he's described as being more or less hollowed-out by his service to Magnus. All in all I'm well pleased with how they turned out, and really feel like my painting mojo has been recharged by the quick diversion. One interesting thing that stands out to me is how much a well-sculpted face helps a model. 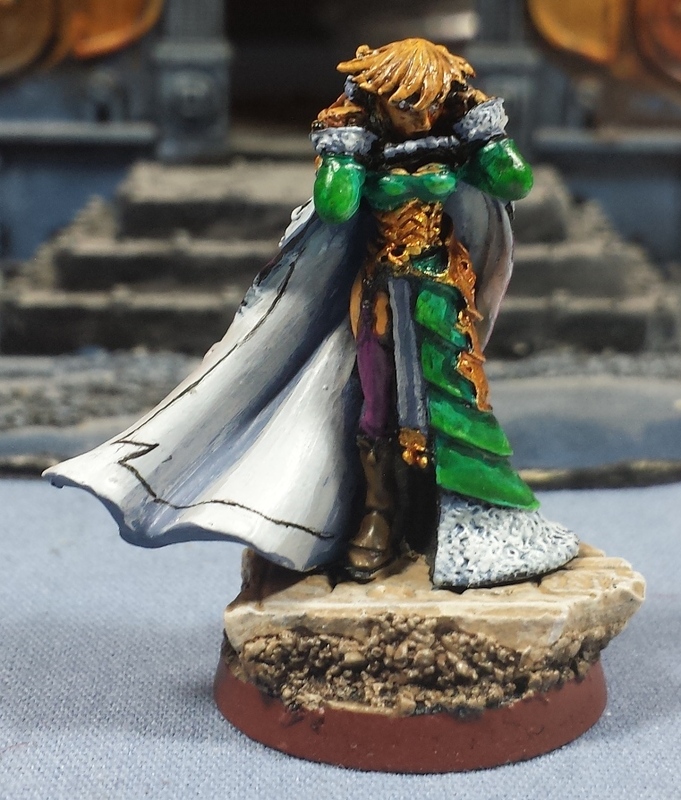 The difference in detail to work with between the Reaper, Privateer Press and GW miniatures is significant - say what you will about GW's minis, their sculptors do amazingly detailed work! ...In other news, this is post #490! Only ten more to go to the big 500, going to have to come up with some fun giveaways to celebrate that milestone! Nice job and a nice variety of models. It would be cool to see some "civilians" on the table. And congrats on your up-coming mile stone! Far more prolific than me, I'm only on 390 posts.. I've never seen most of these models. 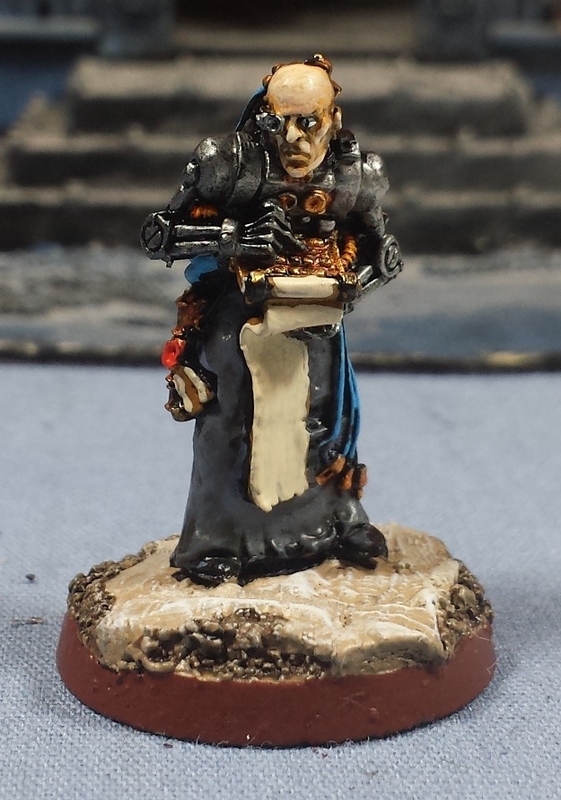 Always enjoyable to see techniques applied to models outside the normal realm of the game. Depth to the purple and greens is rather well done sir. All are very characterful and will look great stood with your force commander, taking in the sights and happenings of the Great Crusade and the big bang that happened afterward. These are fantastic! One of the best things about the 40k setting is the behind-the-lines stuff you can relax and go to town on, and these really fit the bill. 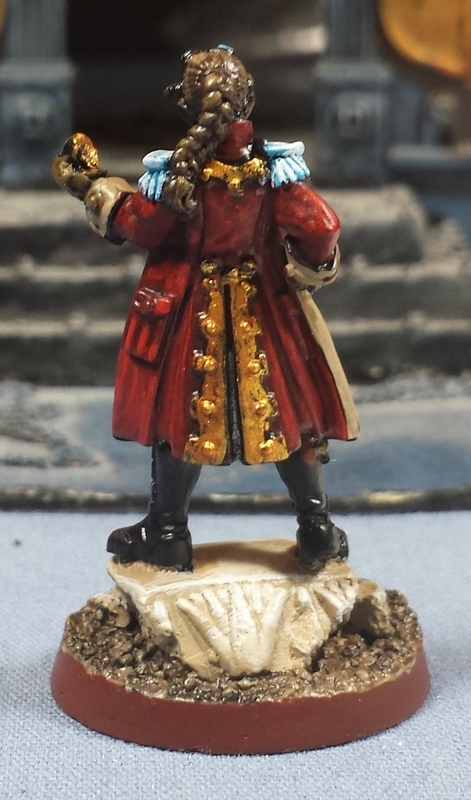 That Chronoscape figure with the greatcoat is an especially nice find; I may have to seek out one of those myself. Wow Joel, looking awesome mate. Also, any news whats going on with the 30k site? 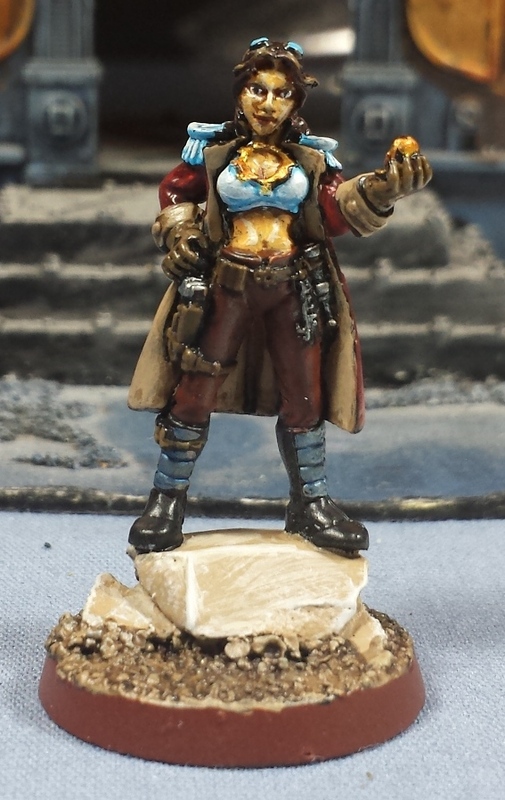 That camille model is fantastic, and it is such a vibrant palette you've used on it that it really pops out at you. I'll agree wholeheartedly with you about the sculpting of GW, especially the hand sculpted works over the digital, they have so much depth and character that I've not seen matched by many others, and never on the scale of GW's production.